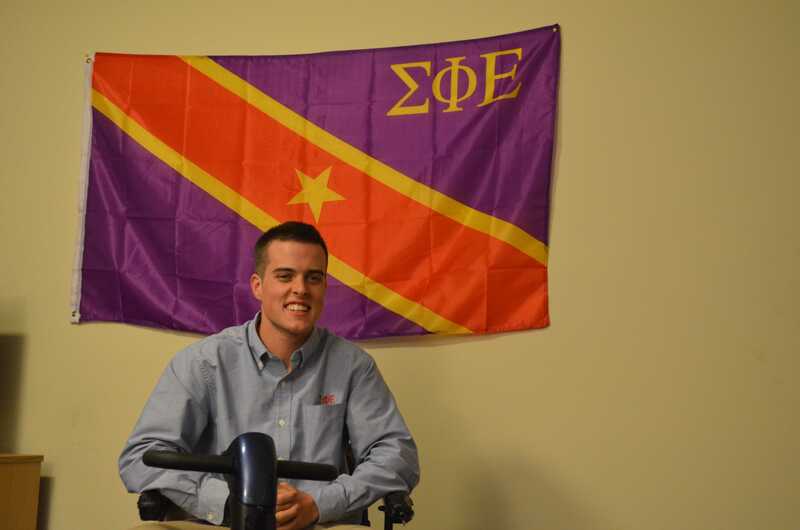 Junior political science major Joey Mullaney’s Friedreich Ataxia prevented him from hiking Sleeping Giant–that is, until his fraternity brothers helped him make the climb. Friedreich Ataxia–a debilitating, life-shortening, degenerative neuromuscular disorder–affects approximately one in 50,000 people in the United States, according to the Friedreich’s Ataxia Research Alliance website. Though they couldn’t change Mullaney’s condition, the brothers of Sigma Phi Epsilon carried him on their backs up Sleeping Giant. Check out next week’s issue of The Chronicle for a full story.